Travelling around Europe I naturally get to see some quite wonderful museums. However most I have seen several times. Built into most tours is some free time (thankfully) and I’m often asked ‘what do you do while we are in the Colosseum, Louvre, gelato shop, etc?’ Well, I have decided to compile a bit of guide to what I do – temporary exhibitons. Check back often as I will try to update this from the road each season… Here are my pick of the best. The first major exhibition of contemporary photography from and about the Middle East, Light from the Middle East. New Photography features over 90 works by some of the most exciting artists from across the region. Over two thousand years ago merchants, pilgrims and soldiers braved the soaring mountains and hazardous deserts of central Asia to trade in luxury goods, to unearth sacred texts and to encounter and dominate distant peoples, leading to the gradual creation of a network of routes grouped together under the evocative name of the “Silk Road”. Having spent time in both Mongolia and Venice – either ‘end’ virtually, this was a really fascinating glimpse into just how much we owe to this trade route, especially as we tend to be a little Western oriented in this part of the world. 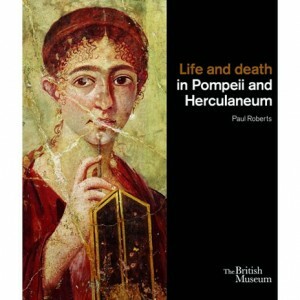 Life and Death in Pompeii, The British Museum, London, 28th March – 29th September 2013. Sometimes the worst thing about visiting Pompeii, is that one has to go to Pompeii. Amazing as the site is, it is run so appallingly by the locals it should really be confiscated. Of course there is no substitute for the real thing, but this exhibition promises to ‘take you to the heart of the lives of the people of Pompeii and less famous – Herculaneum (well, well worth a visit in itself).